With affordable housing limited for Calgary’s most vulnerable citizens, the Calgary Residential Rental Association and the Calgary Homeless Foundation are partnering to match private landlords with social service agencies trying to find housing for their homeless clients. The goal: to make 500 units available over the next year through the newly-formed Community Partnership Housing Program. 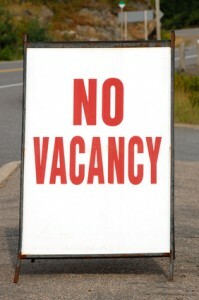 According to the Canada Mortgage and Housing Corporation 2013 Spring Rental Market report, which was released in June, the vacancy rate in Calgary was 1.2%. Vacancy rates are expected to get even tighter with the impact of the flood in Calgary. Given the situation, social service agencies are finding it difficult to find housing for people at risk of or experiencing homelessness. Eight agencies have signed agreements that will help their clients access limited rental units in the city. Additionally, private landlords are being encouraged to participate in this program. Guaranteed tenants, now and in the future when the market changes and vacancies increase. The Calgary Residential Rental Association is challenging its members to offer housing in order to reach the goal of 500. The CHF will track the number of units achieved through this program and the satisfaction of all involved. For more information on the program, visit www.calgaryhomeless.com. Next post: Do You Have What Tenants Want?